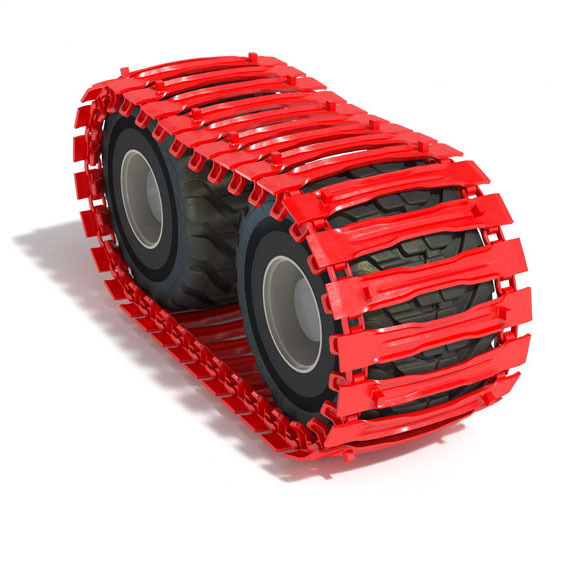 Designed for use in wet marshy conditions and also snow and ice. A special link system is utilised to enable better cleaning and ejection of snow and mud. Wide and upturned edges give flotation whilst a pinched mid-section generates traction.